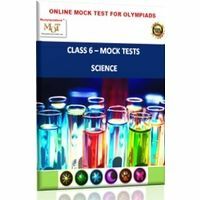 This "Online Test Combo for Science and Cyber" has test series from A. Myolympiadtests (MOT) , Topic wise tests B. Olympiadhelper, Sample and Mock tests A. From Myolympiadtests (MOT) All tests are Online and you will need a computer and internet to access them. There is no option to either download or take a printout. You can attempt each test up to 3 times. The duration of each test is 1 hour. You will get instant results and explanations. Science: 30 questions for each topic 1. Magnets 2. Electricity 3. Work & Machines 4. Work & Energy 5. Water 6. Changes around us 7. Grouping materials 8. Body movements 9. Health & Hygiene 10. Living organisms and surroundings 11. Plants 12. Food components 13. Food and its source Cyber : 30 questions for each topic 1. Software 2. Parts of computers 3. Class MS Paint 4. Input - Output devices 5. Hardware 6. MS Word 7. Fundamentals of computers 8. Evolution of computers 9. MS Word 10. Computer networks 11. Internet 12. Using windows 13. Storage B. From Olympiadhelper OlympiadHelper.com, is an innovative study partner that will help the students ranging from Class 1 to 10 with their Olympiad exams. 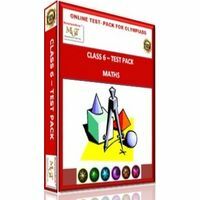 This product is specifically designed for competitive exams which are based on the CBSE / ICSE / State curriculum like NCO, NSO, IMO, IEO, IIO, IOS, IOM, IOEL, SKGKO, ASSET, IAIS, NSTSE, UCO etc. 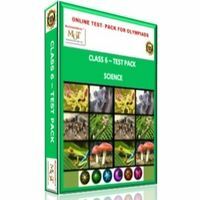 You get access to the online test series for 2 subjects: Science and Cyber. 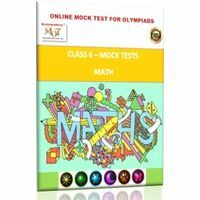 Each subscription includes: 3 online mock tests in each subscribed subject 20 online sample tests in each subscribed subject Advantage to Olympiad Helper Subscription Appearing in so many tests will boost up your child’s confidence. Working on computer and appearing in online test helps in arousing and maintaining interest of the students. Helps in developing and nurturing the habit of self-study. It will help in proper utilization of leisure-time. Develops the problem-solving attitude amongst the students. Unique "Review with Parent feature" will help student to mark the difficult question for review/discuss with parent Unique "Review Test" functionality to help student appear in a test consist of only the questions; they have marked wrong in past Please note that you need to have computer and internet access at your home to access these papers as our subscription is completely online and we do NOT provide any printed material or do NOT provide any option to download or printout. This essentially means that every time when one you need to access these question papers, you will need a computer / IPAD / smartphone (big screen with browser support) and internet connection.